The Jig is a 7-piece funk team from Amsterdam that performs hot original works. It is one of few real funk groups, an instrumental groove machine with a rock & roll-attitude, known for its powerful and exhilarating live shows. The music is up-to-date and personal, adding elements of soul, afro, jazz and rock & roll to the music that derives from heroes like Bootsy Collins, Tower of Power, James Brown, Average White Band and The Meters. Since 2009 the band has been propagating its infectiously original funk with growing success, playing around 200 gigs all over Holland, in Germany, Spain, Belgium, France, the U.S. and Brazil. In 2011 The Jig released its well-received debut album Brooklyn Blowout, which was recorded in New York. In 2013 more funk stompers found their way to an audience by way of the album Aargh! In the fall of 2015 the single The One was released, a biting banger with for the first time – denying all the bands principles – a singer: Mr. Ruben. In may they released the second single Come Get It, again with Mr. Ruben, followed by the full studio album Proximo Disco in june 2016. Since then Mr. Ruben is a regular guest at the shows of The Jig. As always, The Jig is continuously working on new songs and performing them on the road, making every live show a unique experience. The Jig is a band that’s bound to stay, a loyal gang of professional musicians with a common mission: spreading the joy of funk to anyone who wants to hear and feel. You might have seen some of the band members on stage with Caro Emerald, The Upsessions, The Baseballs, Broken Brass Ensemble, Debbie Sledge, Jim Jones Revue, Flip Noorman and more. The band has collaborated with a.o. 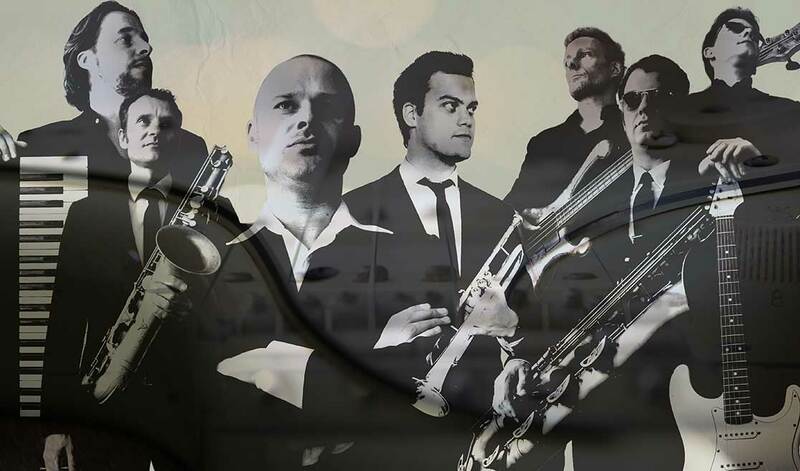 Joseph Bowie, Hans Dulfer, Boris van der Lek and Benjamin Herman.